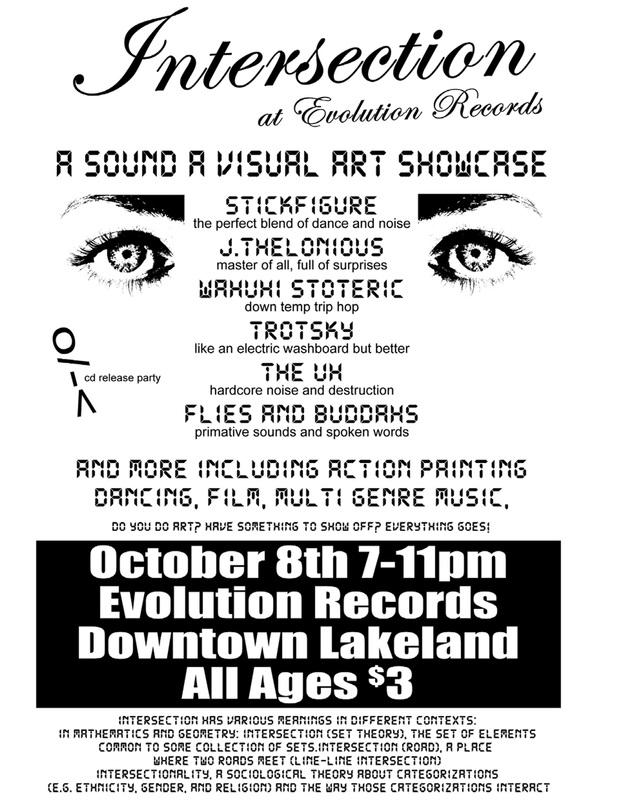 I hope all my local peeps can make it out to Lakelands Evolution records on Saturday October 8th for a night of noise, experimental, and electronic sounds known as Intersection. As if that’s not enough we’ll throw in some poesy, art, and video…. all of the experimental variety. We have some of the best noise and experimental acts in central Florida coming in. 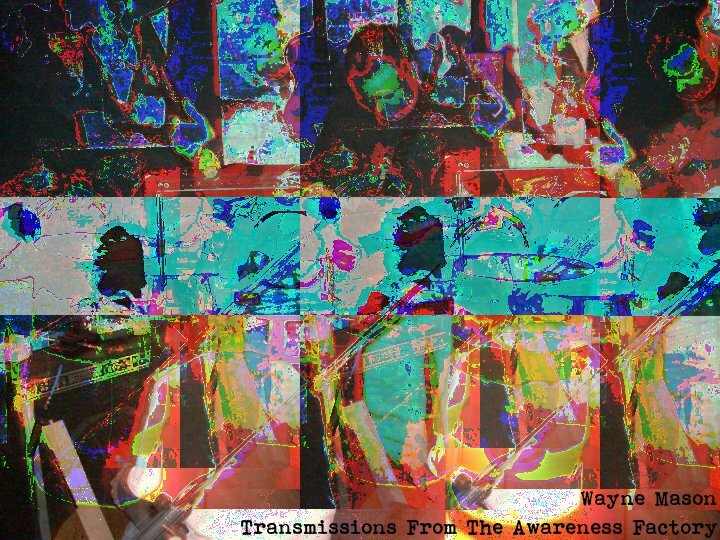 We have The Uh, J Thelonious, Trotskys Watercooler, and Wahuhi Stoteric. I will be pulling double duty that night as I’ll be performing in Stickfigure,and with my newest noise/spoken project Flies And Buddhas. The show starts 7ish and is only 3 bucks. C’mon and check out something that very rarely comes around these parts. My audio track The Day Is Dying, So Am I is included on The International Email Audio Art Project Volume 10. Download and explore all the tracks by over 60 international artists, and while you’re at it check out the last nine volumes as well. Two short poems by yours truly are up today at O Sweet Flowery Roses, an interesting little journal well worth checking out! Also, it’s worth repeating that my net-album of spoken word with ambient soundscapes Five Dollar Buddha is out now and available as a FREE download. It may seem apparent to the one or two fans I have that I may be heading into different directions, I guess so. I’m feeling way different and my head is in different places. The road I’m on may not be appealing to many, but hell…. I suppose I’d rather be unpopular that stagnate in the same prison of words that I have been wrestling with for the last year.